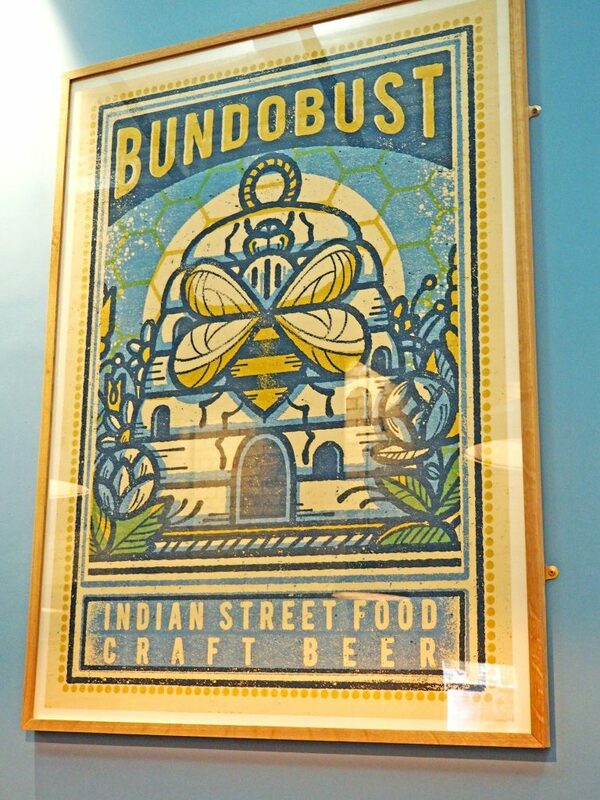 Last year I was invited down to the new Bundobust restaurant in Manchester City Centre which I completely raved about (you can see the post here), and was of course, more than happy to visit again this year to try out some of the new additions to their menu. 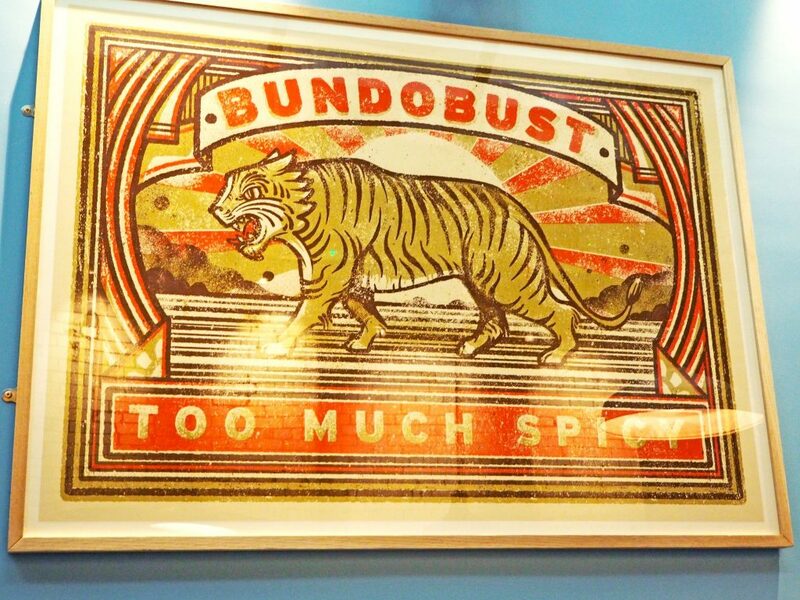 If you haven’t been to Bundobust, I 110% recommend trying it. 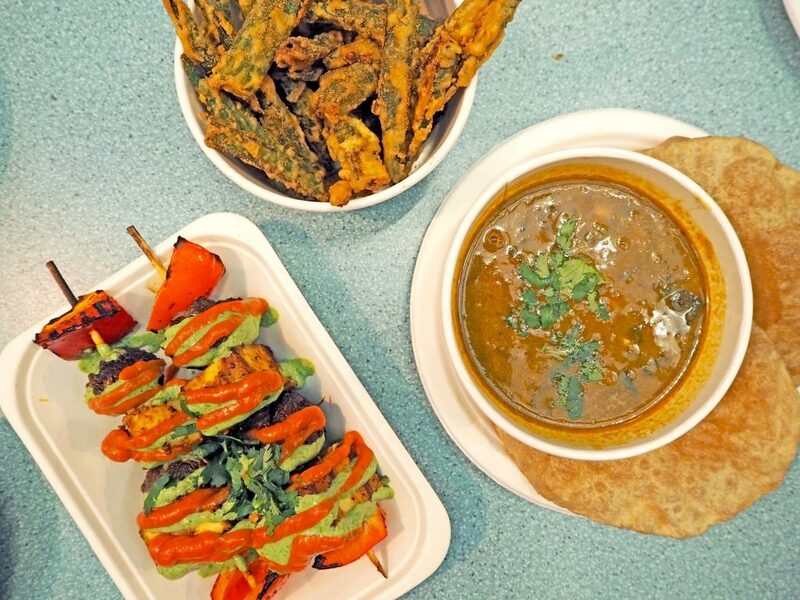 They serve a menu of entirely veggie Indian street food, which was such a complete surprise to me on my first visit; but what was more of a surprise was the fact that they don’t overly shout about this or plaster it all over the website or the menu. Unlike many other vegan or vegetarian restaurants, they don’t try to make a big deal about it; it just is vegetarian, and it is also delicious. 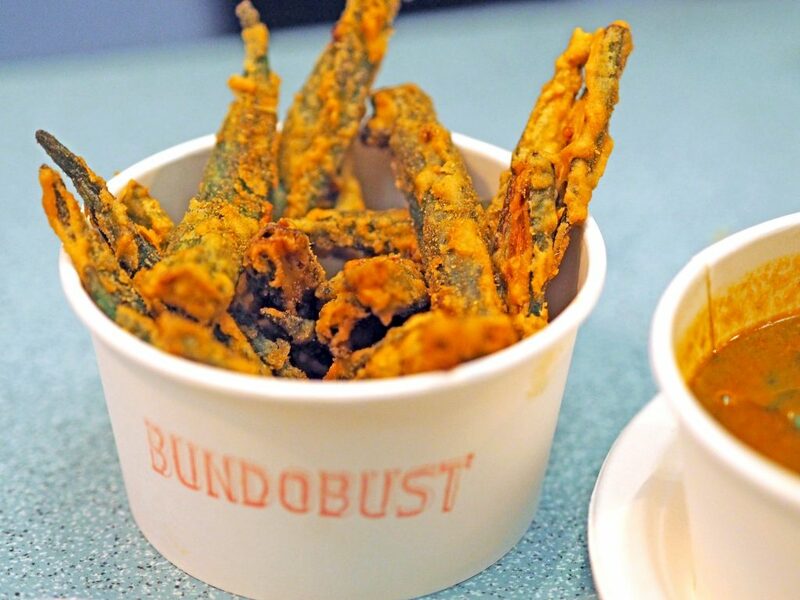 My partner and I both confess that we would probably never opt for a vegetarian dish, and were surprised that we didn’t miss meat at all when dining at Bundobust. 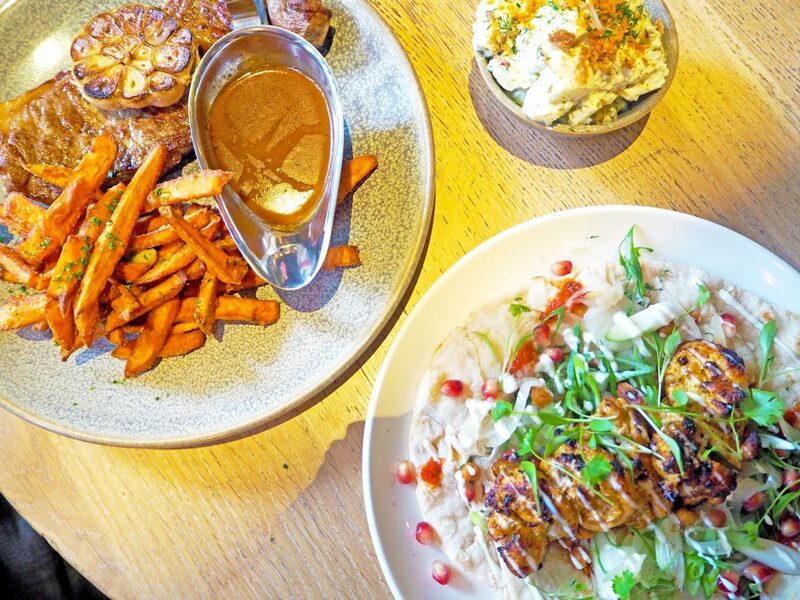 As we were there to sample some of the new items on the menu, we started by choosing four dishes we knew we had never tried before. We went for the Raghda Pethis, Onion Broccoli and Kale Bhajis, Gobi Mushroom Manchurian Pakoras and Massala Dosa. 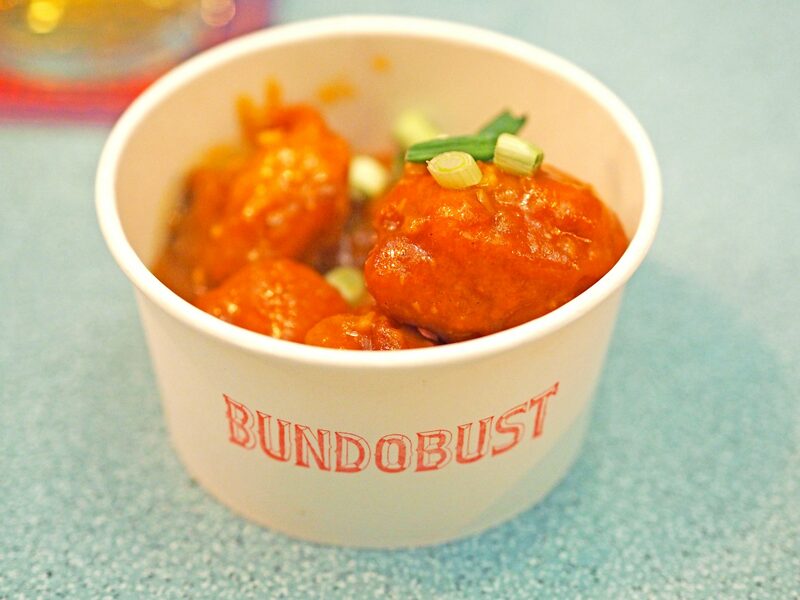 Our immediate favourite was the Gobi Mushroom Manchurian Pakoras – almost like an indian veggie version of buffalo chicken, they are light pakoras smothered in an Indo-Chinese sauce, a definite must try. 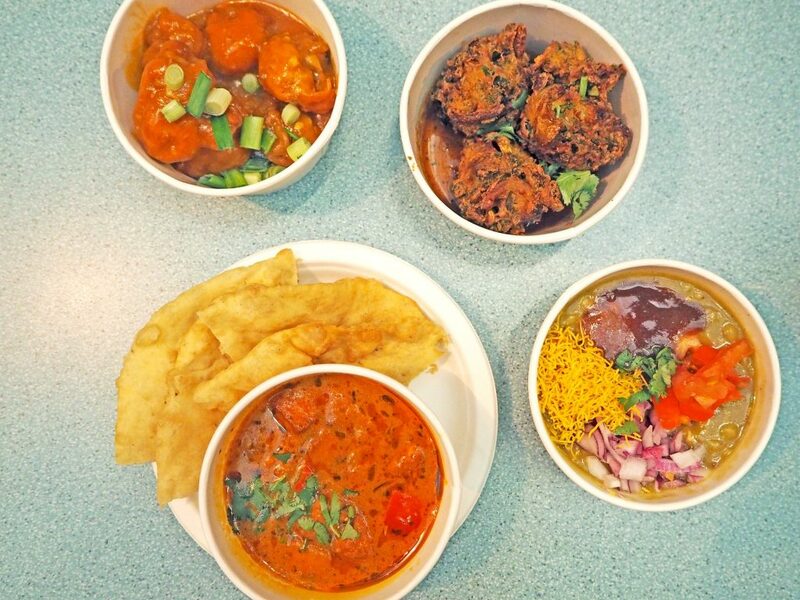 The Bhajis were also a favourite (plus they are made with broccoli and kale so they must be one of your five a day.. right?). 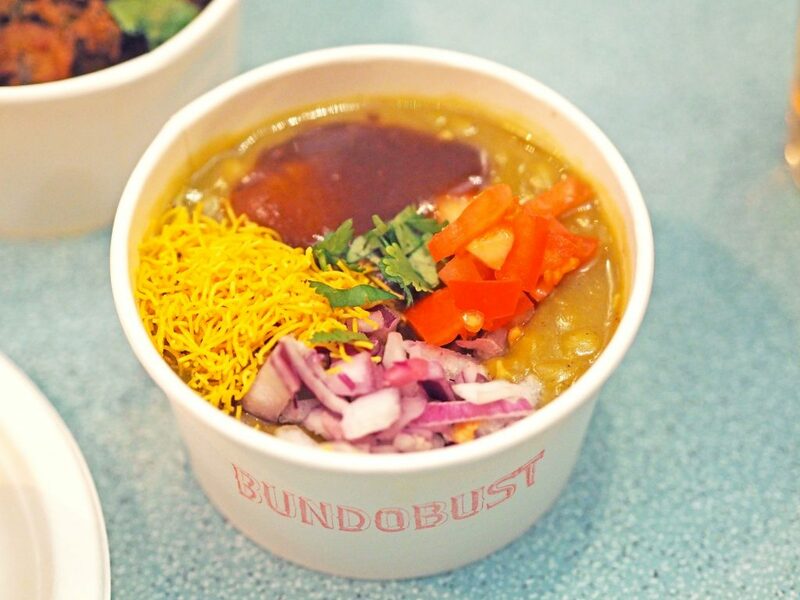 The Raghda Pethis, described as ‘India meets the North of England’ is a combo of spicy mushy peas & potato cake, topped with turmeric noodles, tomato, onion & tamarind chutney. Quite a strange sounding mix but it absolutely works, and the contrast of flavours and textures is amazing. The Massala Dosa is a lentil, aubergine & bottle gourd soup, served with mini rice pancakes filled with a cauliflower & potato dry fry. 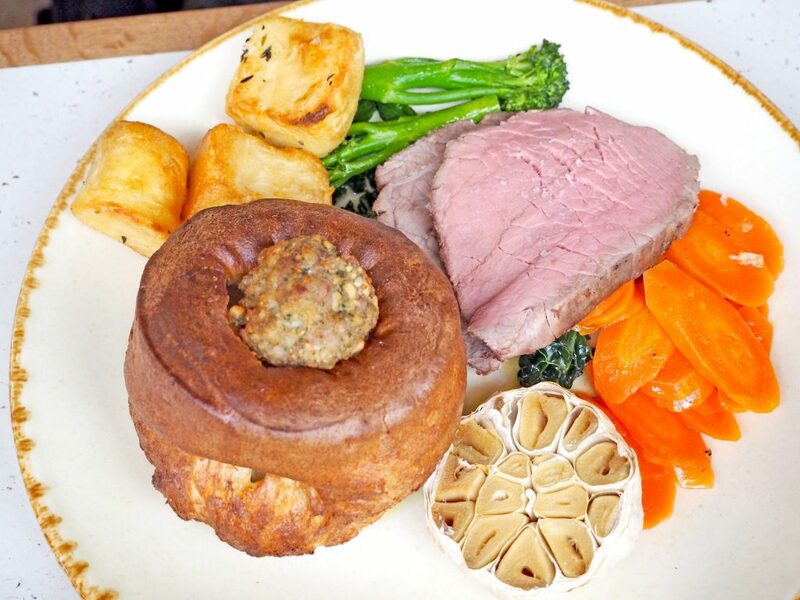 This is like soup with dippy bread on another level; really hearty and warming, and the crispy pancakes make the perfect accompaniment. 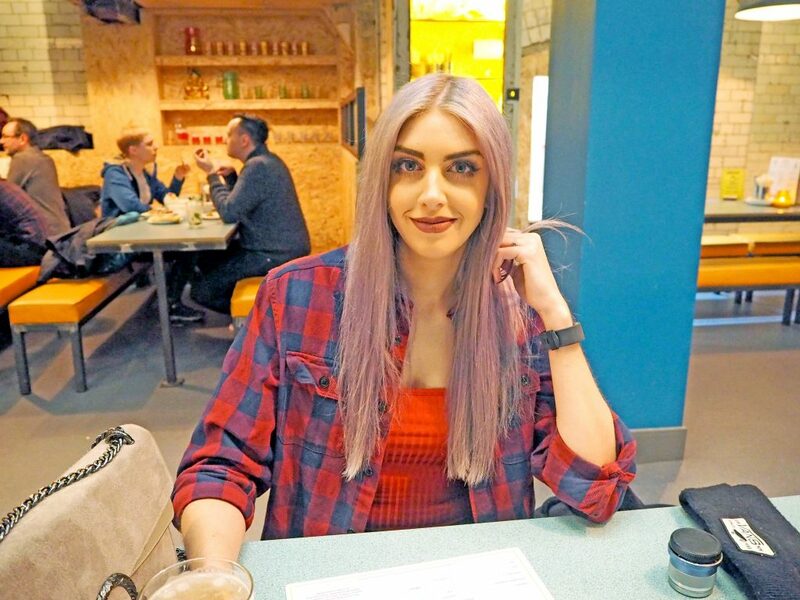 Getting overly excited about the food, we obviously ordered too much (this is a regular occurrence but we never seem to learn), and we threw in some of our old faves too. Next up came the Paneer & Mushroom Tikka: Barbecued paneer, mushrooms & peppers marinated in yoghurt curd & our tikka massala, served with red pepper ketchup & spinach chutney. 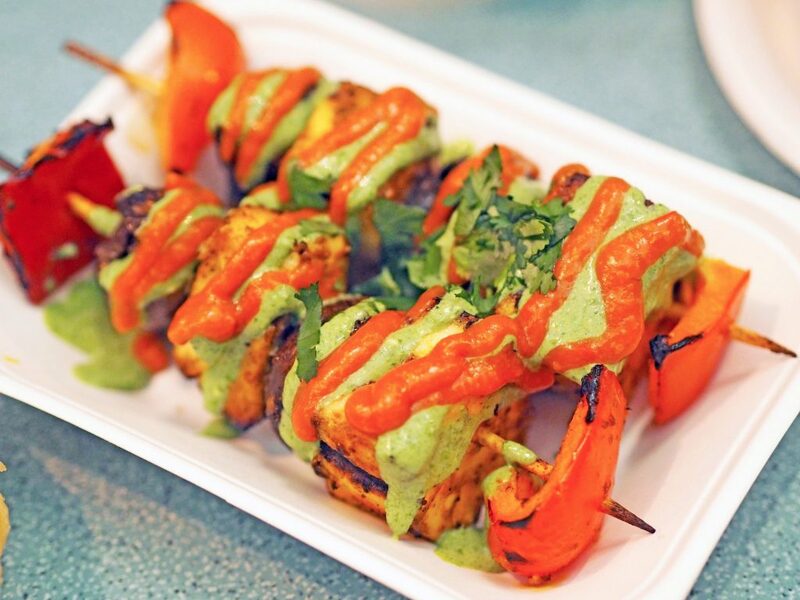 The flavours on these skewers are to die for, and remain a strong favourite on our list. We also got the Chole Saag which was a newbie for us but has been on the menu for a while. 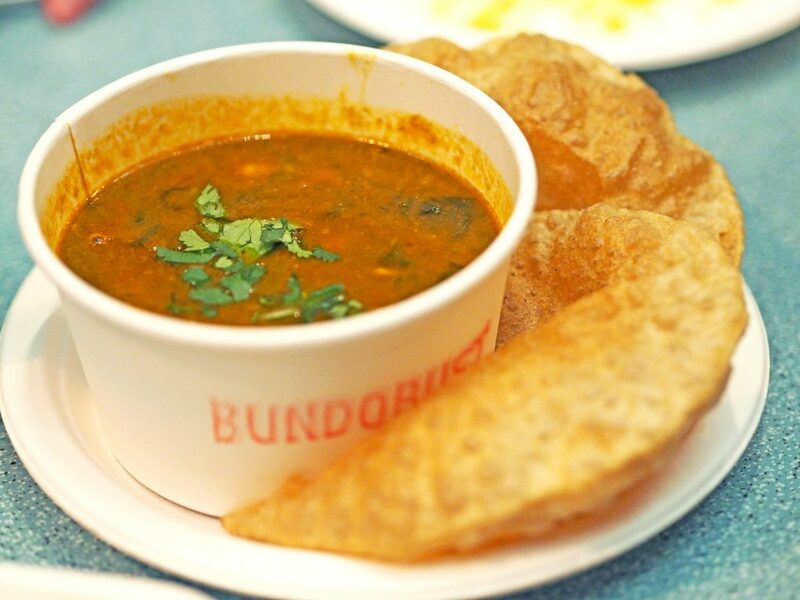 This is Bundobust’s spin on a traditional curry – chickpea & spinach massala, served with puri. Super hearty and definitely one for the curry lovers. To top off our feast, we couldn’t leave without a serving of the Okra Fries – fried lady’s fingers coated in chickpea batter. Seasoned with black salt & mango powder. These are SO moreish and advertised on the menu as ‘perfect with beer’. I can confirm that this statement is very true. 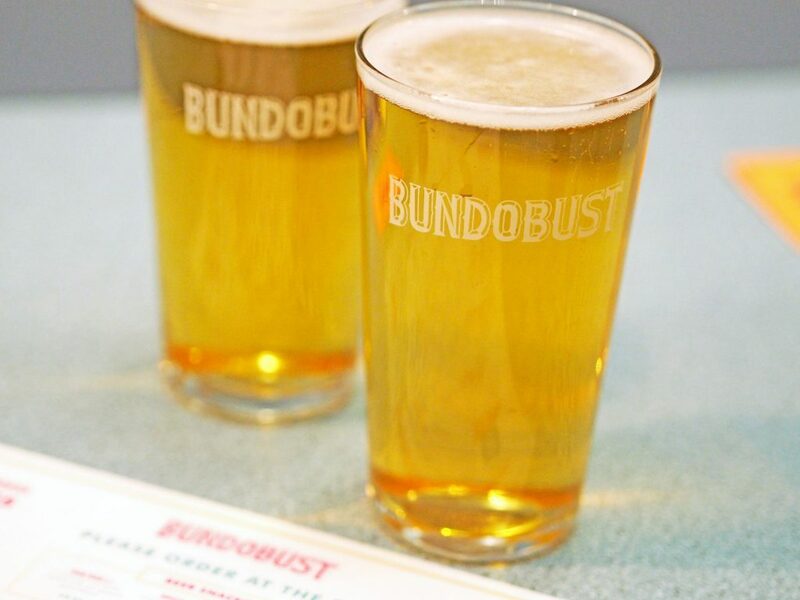 I am really struggling to find anything that anyone might find negative about Bundobust, apart from the fact that you will probably want to try anything and not be able to fit it all in one sitting. 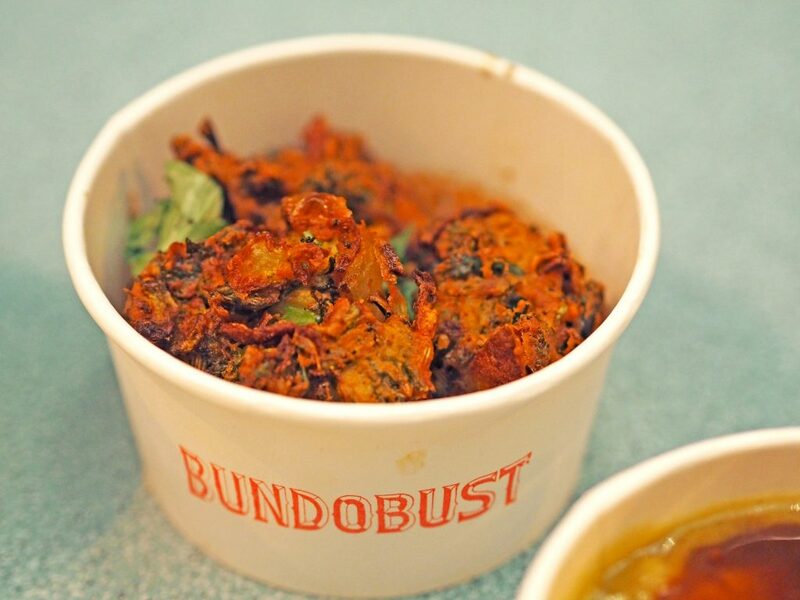 If you are looking for fancy restaurant dining then I would select somewhere else, but I think Bundobust is perfect for so many occasions; date night, a quick drink with a friend, a birthday meal, drinks and a bite before hitting town, mid-week lunch away from the office – it is so versatile and they just do what they do really well. 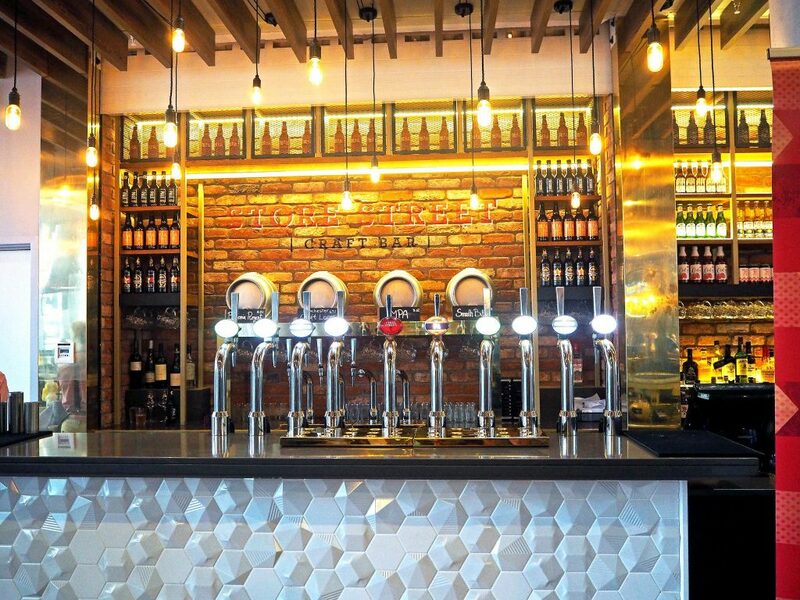 No fuss, quick service, good prices and delicious food and drink. 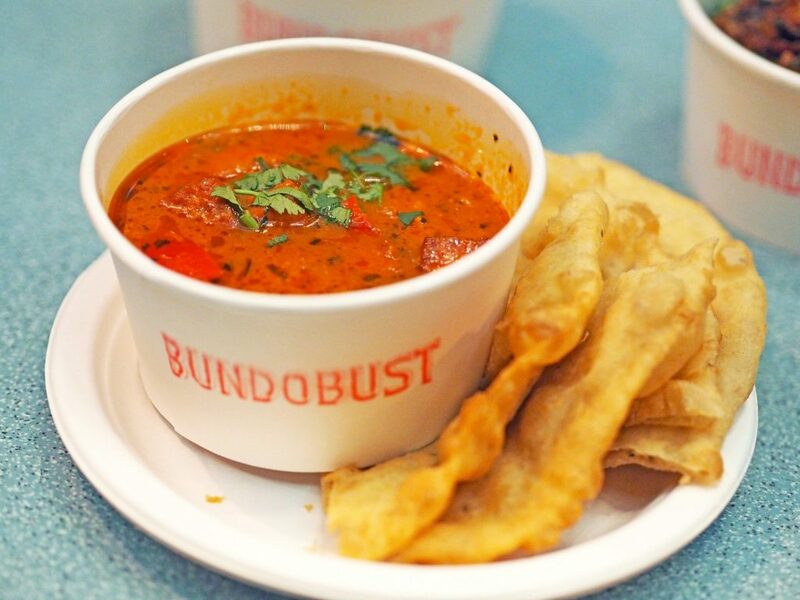 You can head to the Bundobust website here to check out the menu and for any more information. 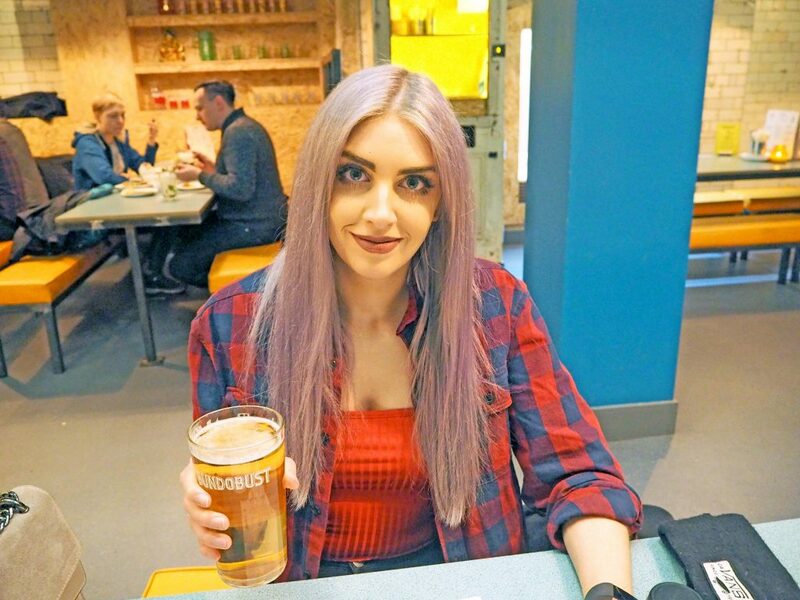 *The food and drink in this post were kindly gifted to me. As ever, all opinions are my own. 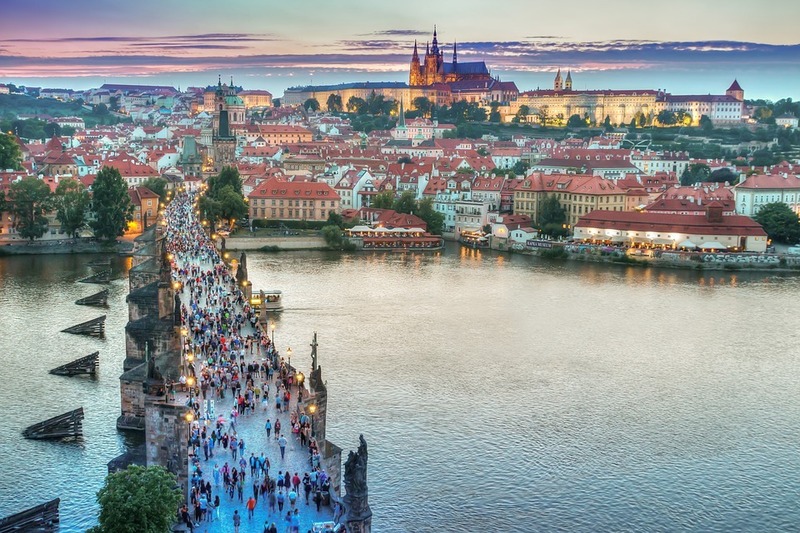 I can’t believe I still haven’t been here yet. 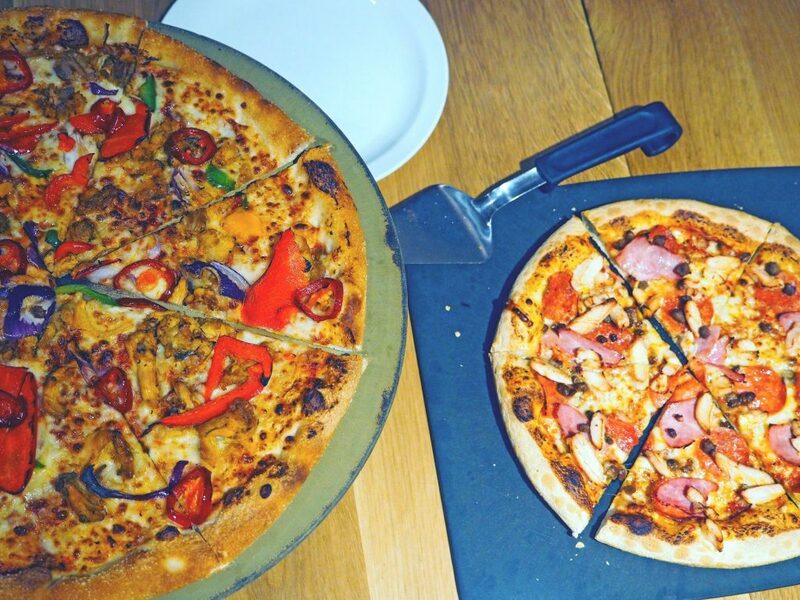 It’s like all my favourite things in one and it sounds and looks so, so good! Okay, now I’m craving some okra fries!